Designs that incorporate our clients ideas, but exceed their expectations. 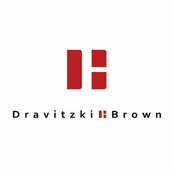 Alister and Katrina believe listening is the key “Great buildings are the result of a great team, The Builder, The Client and The Architect, all play a vital role” Dravitzki & Brown are a husband and wife duo committed to designing beautiful buildings with functional spaces that enhance people’s lives. They strive to give their clients a professional service with a down to earth approach. 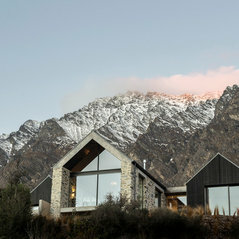 Based in Queenstown since 2008 they understand the design challenges created by its harsh climate. 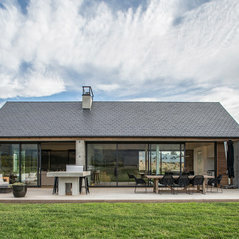 Although mostly designing locally around Queenstown and Wanaka they have designed a number of projects in different parts of New Zealand, including Greytown, New Plymouth, Dunedin, Oamaru. 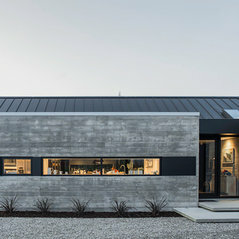 Their strength lies in their ability to design buildings which have a consistent design language, both in the overall form and the way materials are used. Their extensive knowledge in complex detailing brings these designs to life, whilst their photo-realistic renderings ensure clients can see and understand the vision well before construction starts. 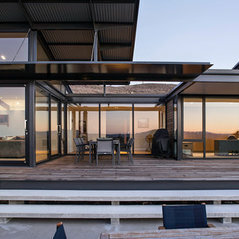 Alister and Katrina are experts in designing all aspects of complex spaces; juggling proportion, size, scale, sun, views, clients brief and budgets altogether which form the basis of all designs Both Alister & Katrina are current Architecture Graduate members of the NZIA, New Zealand Institute of Architects. 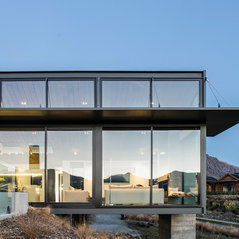 Expertinformation:We are based in Queenstown, New Zealand, and we specialise in exquisite homes for people who love exciting modern and original design. 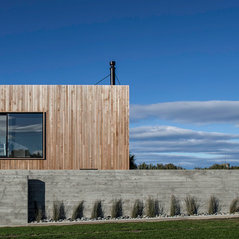 We've built homes throughout NZ for many very happy clients. Typisk jobbkostnad:Job cost is hugely variable. 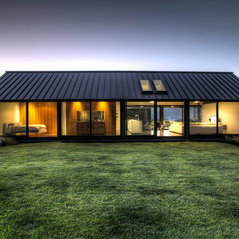 Our current projects are mostly incredible homes in New Zealand's most expensive real estate region. We have done, and continue to do cost efficient (though still incredible) homes in tiny seaside settlements. Ring us to discuss your special project and get an understanding of job cost anytime. 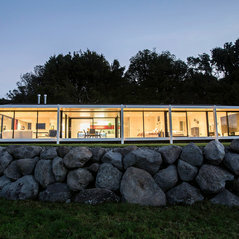 Kommenterade: Square footageThe home is 1184 sq feet, or 110 sq metres being the metric equivalent. Thanks for your question.